- and modern records too! The Jazz Club phono preamp will put new life into the sound of your old records: 78s; early vinyl LPs and EPs. 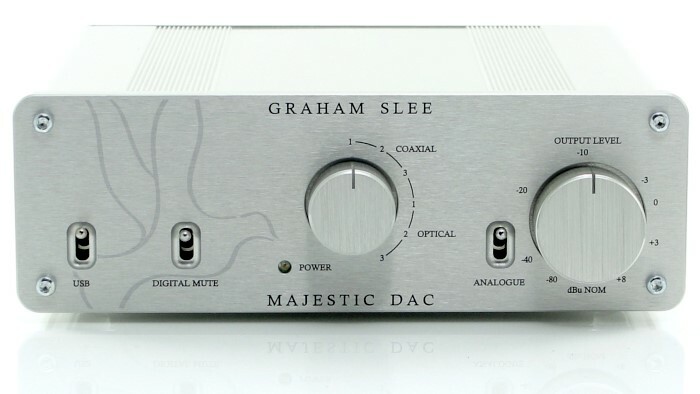 It does so by restoring their original tonal balance - something a modern phono preamp cannot do. 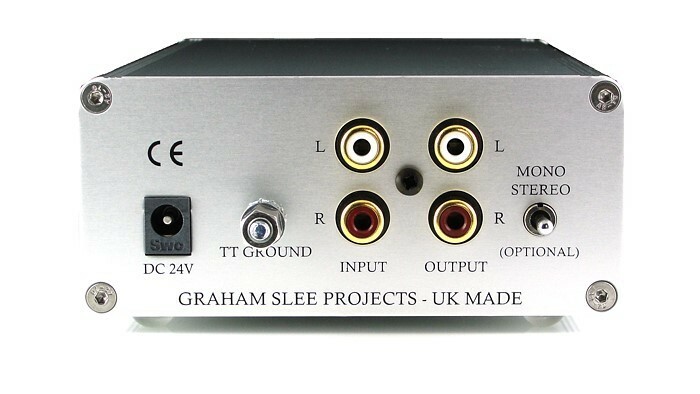 It also has the correct tonal settings (RIAA) for newer records meaning you only need this phono preamp for all your record collection. 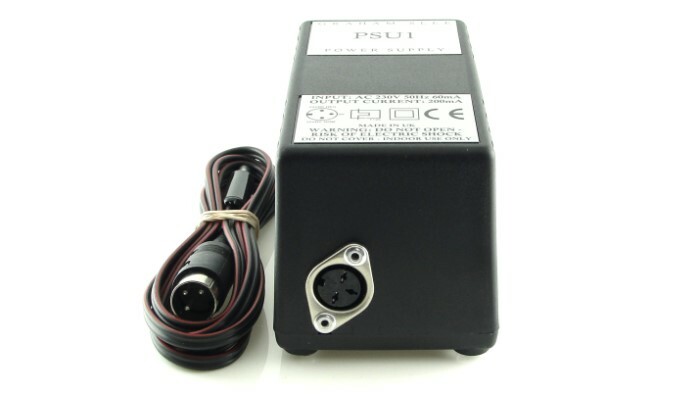 The Jazz Club is supplied with the PSU1 power supply and is fitted with a rear panel mono-switch. Plus you'll get an Old Record EQ information sheet, and more information on old record EQ can be found here. 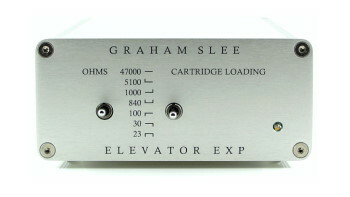 As well as being a hi-fi turntable preamp, the Jazz Club features settings to equalise pre-RIAA records. This means you can enjoy all your records - not just old ones - because the Jazz Club stereo turntable preamp is a great sounding hi-fi turntable preamplifier! 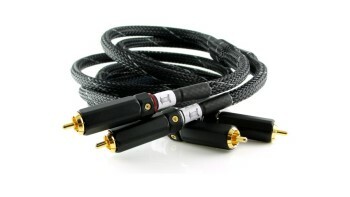 After connecting it up to your turntable, amplifier and/or recording equipment, and plugging the power supply in, you will then need to set the switches to suit the record you're playing. 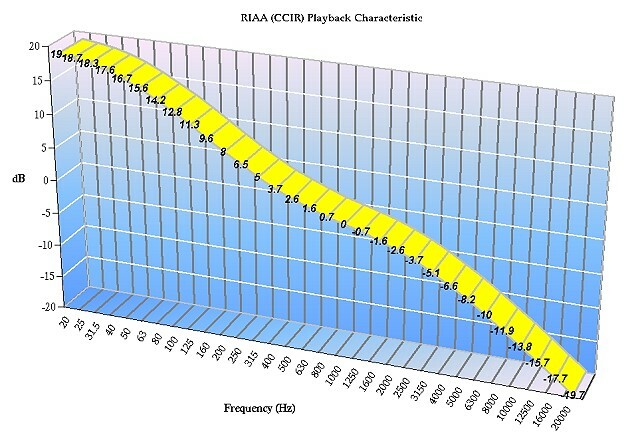 By setting the switches to their RIAA positions a modern stereo vinyl LP will be played with the correct EQ, and will give the right tonal balance. When playing an older record you need to note its record label (its manufacturer's name), and look up the settings given in the information sheet EQ tables. We selected an old Brunswick 78 rpm shellac record and using a turntable equipped with a 78 rpm setting, consulted the EQ tables. The recommended switch positions are "out - out - 500", so the two leftmost switches were set to their mid "out" positions, and the right-hand switch set to 500 (which also happens to be the RIAA bass EQ setting). 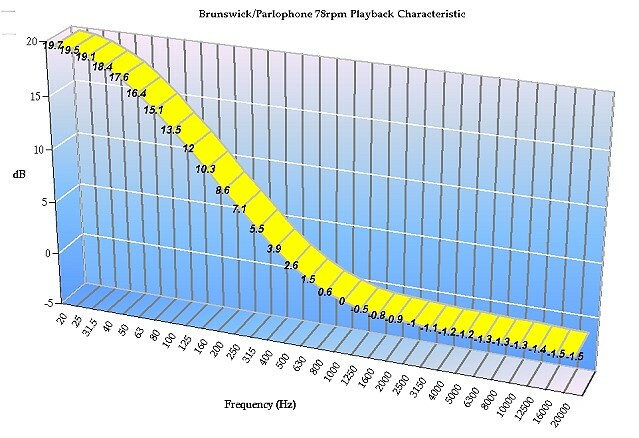 You can see a pictorial representation of the resulting EQ curve here, and you'll notice it's a lot different to the RIAA curve which modern records are EQ'd to. We also set the mono switch to mono which by summing left and right channels reduced the swishing sound. This effect is because the record centre was slightly eccentric and each revolution swung the stereo stylus side to side. The results were much different to what the RIAA settings would give, and the music sounded a lot more realistic with a proper tonal balance to it. 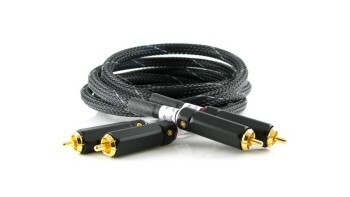 All stereo high output cartridges (moving magnet; high output moving coil; high output moving iron) can be used with the Jazz Club stereo turntable preamplifier, but you may wish to use a dedicated mono cartridge instead. 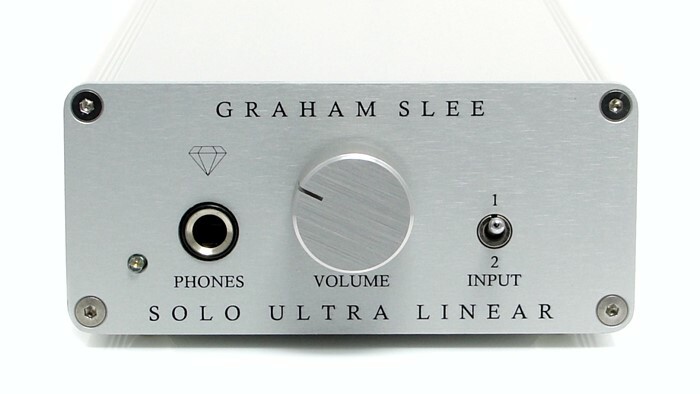 This requires a slightly more specialized setting up procedure: It is best to use a true mono cartridge with a single output and connect it to only one of the stereo inputs. The unused input should be shorted using a shorting plug (contact us for this). The mono switch should be switched up or down (not used in its centre off position) and that will place the mono signal on both outputs. 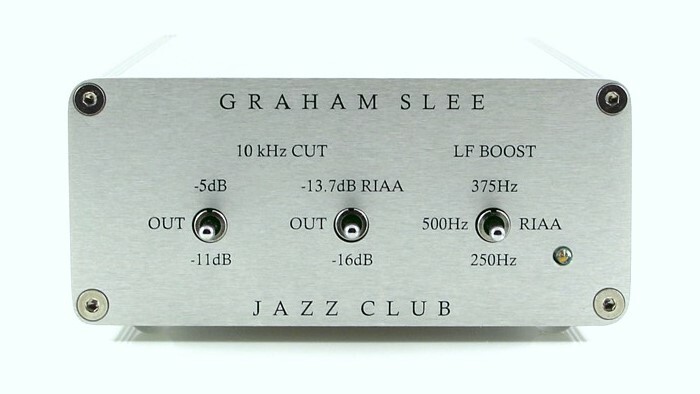 The Jazz Club offers outstanding sound as a standard MM/RIAA phono section plus you get the added EQ flexibility. . . The Adcom Crosscoil XC/LT and the Rega Exact sounded rock solid, full-bodied, coherent and authoritative through the Jazz Club . . . The most fun I had with the Jazz Club was with 78s. I set the Jazz Club for "US Decca" and played "Lullaby of Birdland" on the Simon Yorke. I couldn't believe the presence of Ella's voice, or the lack of noise from the old shellac. Whether you just want a dedicated, high quality MM phono section, or play or digitise 78s, or just want to hear what various LP curves sound like the Jazz Club is well worth considering. Mikey loved it! Souza symphonic marches; if I can hear the ting of a triangle clearly over a Souza march it must be good! Width of sound stage gets better. Even though the volume is not even half way up I can hear the bass of Simon & G’s The Boxer in my stomach. Organ music Widor’s ‘Toccata’ . This machine gets to the subtleties of the music. Donna Summers; the most noticeable thing is the separation of individual instruments. Sound stage has widened dramatically. Count Basie’s band seems bigger (and I don’t mean in number of performers) & rounder. S & G are nearer to me than before as if standing in front of the other performers. No matter whether the volume is high or low one hears everything. This equipment extracts all the information from the disc; in conjunction with basically neutral equipment (which I think mine is) it neither adds nor subtracts from the music.